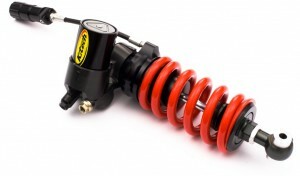 The aim of 100% Suspension is to provide an individual, tailor made service to each rider. With the large range of variables available with suspension, it would be unrealistic to provide all of the various options within the website alone. 100% Suspension was originally formed in 2003 by Colin Leeder, however things began back in 1980 when at the age of sixteen Colin began to try different shocks and oil grades on his moped and then his 125cc Kawasaki, an RD250, that was followed by the 350 Powervalve LC, Colin continued to experiment with different suspension setups through a whole range of bikes looking to improve upon what at the time was very basic suspension. Copyright © 100% Suspension Ltd. All Rights Reserved.